Home » Articles » 139. Frustration Has a Lot to Tell You! ← 138. It’s All About These 4 Emotions! 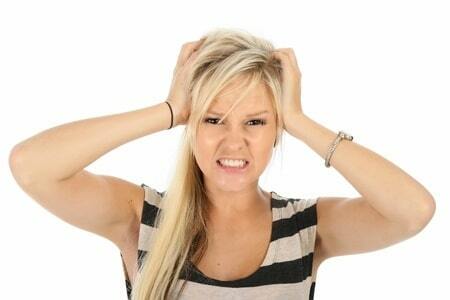 People who do the MIR-Method may experience more frustration. They may become crabby, cranky and sometimes just bitchy. Yes, men as well! With their eyebrows pulled close together and showing deep furrows in their foreheads. The corners of their mouths pointing down and teeth clenched. These are all outward signs of frustration. And the great thing is, this frustration is super because it has a lot to tell you! 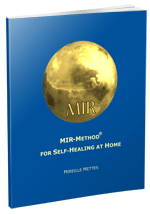 If you do the MIR-Method you will increasingly feel what is important to you. What you really like. You dust off your old dreams and grab hold of your deepest desires again. You become aware of what gives meaning to your life. And the more visible and clear this becomes, the more you realize that what you’d like is not the same thing as what is now going on. In other words, you begin to feel that the situation as it is now, doesn’t suit you properly. You can’t shine or breath well because of it; you miss the sparkle and freedom. The more you feel this way, the more frustration surfaces. “But this isn’t how I want things!” you call out inside yourself. They’ve resigned themselves to their destiny and won’t use their energy any more to change their situation. Not feeling frustration can be a sign that you’ve surrendered your life and are letting yourself be played like a ball. Depression lies just around the corner. These are, by the way, the people who often develop stomach problems, like heartburn, stomachaches and not being able to tolerate food. Have a look at this article for more explanation: You Don’t Just Get a Stomach Ulcer; It Takes Effort. Their chakra 3 is blocked where the stomach can be found. They barely have access to their own willpower and feel incapable of doing anything about it. That last part is still a challenge because when you know that you don’t want something anymore, that doesn’t mean that you already know what you do want. That is a process, a period of searching, reflecting and especially, talking with other people about it. Read, do Internet searches. What would other people do? Ask for help from people who are really willing to think along with you and who have good tips. Look for them! You can present your situation to other MIRrors in the Facebook ‘MIR-Method Closed Group’ and ask how they would change something. You don’t have to reinvent the wheel! Step 3. ‘Detach father. Detach mother.’ You detach yourself from the expectations and wishes of your parents and other people that you’ve allowed inside. You begin to feel more clearly what is important to YOU. It’s YOUR life! See the video about this: Seed of Self-Love with the MIR-Method. Although I only mention 2 of the steps here, always do all 9 because it’s important for them to be done together! Just think, for example, how important your willpower is for rediscovering your mission, your life path! And how about you? 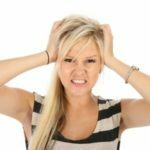 Has your frustration increased by doing the MIR-Method? And have you been able to bring about changes in your life? I’d love to hear about it! Please write about it below. Thank you! My wish for you is that you may see your frustration as a wonderful source of energy to free yourself! The link to the Seed of Self Love with the MIR-Method, doesn’t work – at least for me. Already on the mailing list, but thanks. Thank you for letting me know! I checked it, but can’t find the link you mean. You can find the video on this page: http://www.mirmethod.com/video/allvideos On that page you will also find two other videos. One about how the MIR-Method was developed and the other one about addictions. Hope they will inspire you! I’m 48. I’ve found the guts and I’ve (finally) just bought myself a black leather jacket. And I’m loving wearing it! Most people say I look great, so natural, like I’ve been wearing one all my life, I so own that look, I look funky, like Sandy from Grease, it really suits me. Some ask why I’m dressed up in fancy dress? Some feel uncomfortable around me when I wear it. And how great such a ‘statement’ for yourself is! It expresses what you feel on the inside. So good to read how others respond. I am happy for you!